As the novel unfolds, we learn more about Jeff's deep, yet complex relationships with both Claire and Tish. The novel is told from the three voices of Claire, Tish, and Jeff himself from beyond the grave. As Claire copes with comforting her teen son, making Jeff's funeral arrangements, and dealing with the return of Jeff's brother Tim (Claire's ex-boyfriend), Tish struggles with her own secrets regarding her relationship with Jeff, and with coming to terms that her best friend is now gone forever. 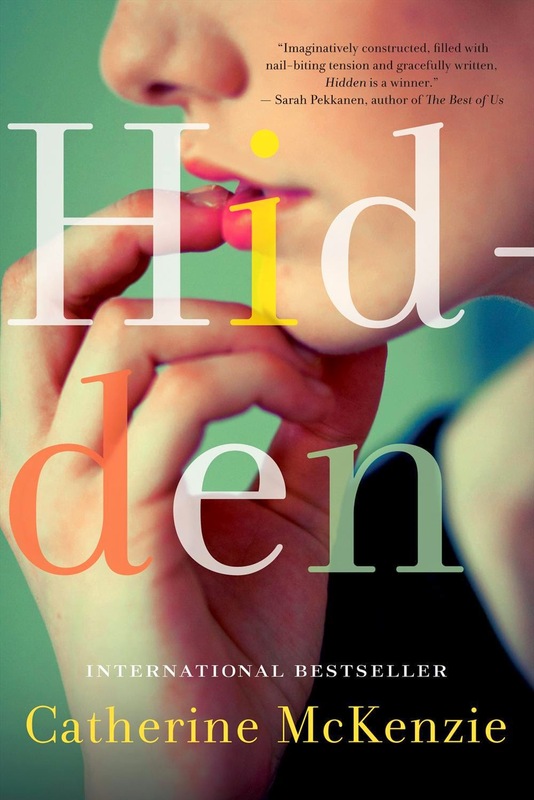 Although Hidden is my least favorite novel of McKenzie's to date, I've found myself thinking about the novel frequently since I finished it two weeks ago, which is always a good sign regardless of whether I enjoyed the book or not. I actually really enjoyed my time with the book, and managed to read it all within a three-day period because I just couldn't get enough. I loved how McKenzie made much of the novel mysterious in regards to the relationship between Tish and Jeff, and I looked forward to all the chapters being told in the voice of Tish. Claire was boring to me, and I kept waiting for her character to do something scandalous and exciting. I was initially disappointed in the ending of Hidden, and thought, "That's it?" But then, after the meaning of the ending sank in, I thought it was very clever of McKenzie to have crafted such a beautiful message. I really loved it, and I loved Tish even more after the end. Out of Catherine McKenzie's four published novels, I've read all but Arranged. I would rank Forgotten as my #1 favorite, followed by Spin, and then Hidden. I'm already excited to see what McKenzie comes out with next!